Mobile County Sheriff’s Office deputies say a pursuit of a stolen vehicle ended this morning in Mississippi with one suspect in custody, another in the hospital and third still unaccounted for. According to a press statement, MCSO was alerted that the Mobile Police Department was in pursuit of a vehicle stolen in the city of Mobile, and deputies joined the chase in Chunchula around 10 a.m. on Tuesday..
From there, deputies pursued the vehicle to the Alabama, Mississippi line, where authorities say it wrecked and caught fire on Mason Ferry Road. After the wreck, three occupants fled on foot. 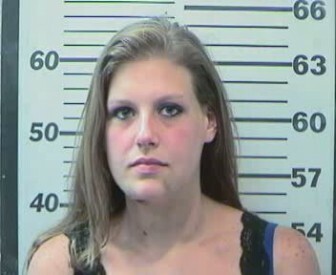 LaChelle Dobson was arrested by Mobile County deputies on Jan. 26 after a high speed chase that ended in Mississippi. A female, 26-year-old LaChelle Dobson was taken into custody by deputies on the scene while 20-year-old Clarence Pritchett was caught by MCSO K-9 units. A third suspect escaped on foot and still being actively sought by MCSO deputies. Police say Dobson was taken in for questioning, but Pritchett was transported to a local hospital. Authorities have yet to release any information about Pritchett’s condition or disclose whether his injuries were sustained in the wreck or during his interaction the MCSO K-9 units. 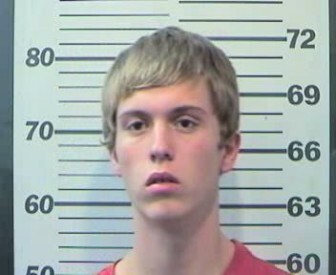 Clarence Pritchett was arrested by Mobile County deputies on Jan. 26 after a high speed chase that ended in Mississippi. According to Mobile County Metro Jail Records, both Dobson and Pritchett has previous convictions in the county. Dobson’s record shows previous charges for theft drug possession. Pritchett has also previous charges for unlawful breaking and entering of a vehicle, attempting to elude police and reckless endangerment. MCSO officials said they would release the identity of the third person involved as soon as it’s received.